Club Secretaries & Treasurers - Rotary International District 6450, Inc.
For Club Dues to the District, scroll page below. Club Insurance: Rotary Clubs are covered by General Liability and Directors & Officers Insurance, through Rotary International. You pay an annual per capita fee to RI for this service, it is not optional. IRS annual filing requirement for all Rotary clubs in the U.S. and U.S. territories. Our Frequently Asked Questions will answer many of the general questions you may have about Rotary clubs and the IRS. Please direct any specific questions regarding your club’s tax-exempt status or reporting requirements to local counsel, your tax adviser or the IRS at www.irs.gov or 877-829-5500. Rotary Clubs are 501c4 nonprofit corporations. and must file an annual 990, even if a club's revenue is under $50,000 in gross revenue. For new formed clubs there is a new regulation that clubs must notify the IRS of their formation and pay a user fee within 60 days of formation, a non filler faces a $20 a day penalty. CLUB DUES - Emailed the week of February 4, 2019 & Due February 28, 2019. Please scroll through the four folders below, listed alphabetically. If paid, the file name will include PAID at the end of name and be in the Paid Folder. Once your club invoice(s) are located you can 'right click' with your mouse and select download. Please note: there are no passwords and you do not have to have a Box.com account. To prepare for your term, learn what will be expected of you by the club’s board of directors and members, your district, and Rotary International. 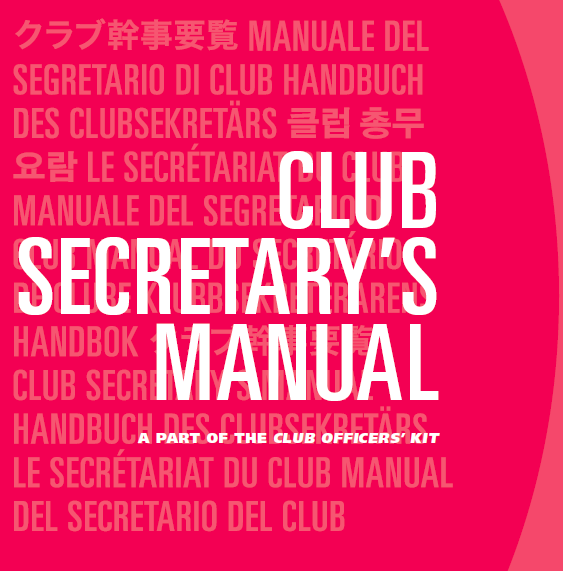 It is recommended that you assist the outgoing club treasurer before taking office to enable you to better understand your role. How are the bank accounts set up? How do club members pay dues? Does the club have any outstanding debt? the budget for the coming year? How was it established? How are funds allocated for club committees? What kind of accounting system is in place for bookkeeping? How are financial records kept? What paperwork needs to be filed with the club board, district, RI, and local government (e.g., for changes to bylaws, taxes)?